Ever since that mawkish movie starring Jack Nicolson and Morgan Freeman came out in 2007, it seems people can’t stop talking about their “bucket lists”. There have been songs written about the topic (“I went 2.7 seconds on a bull named Fu Man Chu...”), Internet memes created, and the phrase has completely wormed its way into our day-to-day chatter (Ooooh! Going to Thailand is totally on my bucket list!). In full disclosure, I actually hate both the phrase and the concept of a bucket list. I try to do and say the things I want in the moment, rather than wait for my impending death to be a motivating factor. Right now, the only things on my bucket list are 1) get a tattoo (impending death will remove my long-term tattoo commitment-phobia); and 2) write a salty tell-all about the investment industry that is equal parts Bridget Jones Diary, The Office and Game of Thrones. With that last goal in mind, some of you out there should be wishing me good health and longevity every darn day. But I digress. Based on my knowledge of human behavior, I can’t say I’m surprised about our love of the bucket list. We love, love, love to put things in buckets and boxes and to create certainty where there is none. Studies have shown that uncertainty actually causes more stress than actual pain. And, after all, what’s more uncertain than death? So if having prescribed list makes someone feel better about their inevitable demise, maybe it's not all bad, but it is just a coping mechanism. Perhaps that also explains our utter fascination with putting investments into buckets. Small Cap, All Cap, SMID Cap Growth. Early Stage, Seed Stage, Growth Stage. Event Driven, Special Situations, Trend Following. Whatever the investment strategy, investors look for ways to group supposedly “like” managers together to streamline the investment process. But does that actually help or hurt us? Putting investments in boxes is theoretically easiest in the long-only world. After all, we have ACTUAL boxes in which to put investments thanks to Morningstar. No matter what a manager does, they usually comfortably squeeze into a pre-defined style box, giving investors not only information on what the fund does, but also on how it does, thanks to agreed-upon benchmarks. But is looking for managers in those boxes to an investors benefit? Martijn Cremers of Notre Dame says “no.” In his analysis of long-only managers he found that the more a manager fits into a box, the more certain an investor could be of one thing: failure. Not surprisingly, benchmark huggers have little opportunity to outperform their, um, benchmark, since they may be holding the same stocks in the same amounts within their funds. 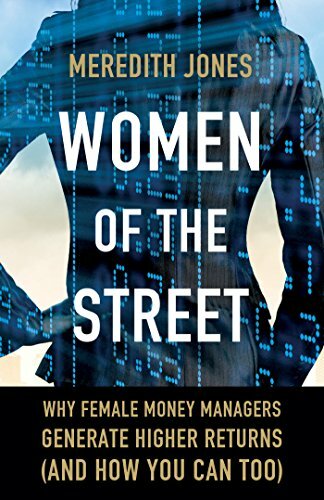 So instead of looking for these closet indexers, who make us feel certain and warm and secure (and later, ultimately, poor), Cremers argues investors should be looking for managers who have 40% or less of their holdings in common with their benchmark, and that hold any common holdings in different proportions. While this doesn’t guarantee outsized returns, at least it opens the door to them. And the bucket story is similar in the alternative investment world. If I had a dollar for every time an investor or researcher tried to shoehorn a hedge fund into a specific investment bucket, I could probably take time off to write my tell-all. But the thing about hedge fund strategy buckets is that they are pretty craptastic. It is nigh on impossible for a database or index provider to provide enough granularity into strategies without overwhelming users with a huge number of strategy categories. Historically, the number of hedge fund "buckets" has ranged from a low of about 9 to a high of 100. The former ends up lumping very disparate funds together and the latter is too complex for the average investor to utilize. The result? An imperfect system that, if taken as gospel, can bite an investor in the arse. Take, for example, a hedge fund I know well that trades across the capital structure in distressed companies. One group put them in the Distressed bucket. One group put them in Event Driven. One group put them in Multi-Strategy. Well, all of them. And none of them. So let’s say an investor decides to look for an Event Driven fund. In their dataset, the fund above is classified as Distressed. They do their search and the fund never pops up, even though it could be just what the investor is looking for. How does that help anyone? And let’s say that a hedge fund is classified within a certain strategy bucket but has a more nichey or nuanced, or even totally unrelated strategy. They may get benchmarked to their strategy bucket, which ultimately has little to do with how the fund actually invests. An investor who relies too heavily on that information could make poor investment or redemption decisions, too. So I guess I can add one more thing to my bucket list – kicking the (strategy) buckets. While I admit they are probably here to stay, I urge investors to take them with a large grain of salt, perhaps even a salt lick-sized grain. If you must use strategy boxes or buckets or Rubbermaid containers in your investment process, be sure to search adjacent or related strategies when looking for managers. Create blended or custom benchmarks. Don’t let benchmarks make investment decisions. Allow room for nuance and opportunity. In other words, use buckets the way God intended – for ice and a nice bottle of bubbly and use that to help accept that a little uncertainty can be a good thing. Newer:Hedge Fund Truth - Don't Believe Everything You ReadOlder:You Are So Money!